As you walk around the neighborhood, you will see many different houses. There are some good houses that protect against the weather and are safe to live in, but unfortunately there are still families and elderly living in hovels or substandard housing, with leaking roofs and conditions that are not healthy or safe. We believe that all people should have the right to a warm and safe roof over their heads and place to call home. 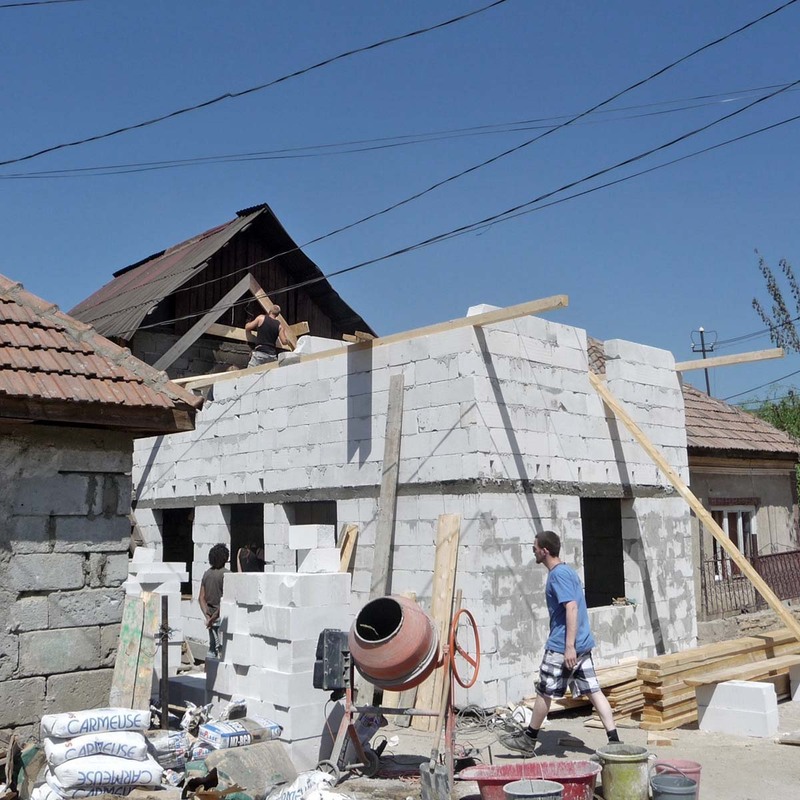 Thankfully, with the help of groups from Holland, we’ve been able to build several houses. These houses are modest, not huge villas, but provide safe, warm and good homes for people here in the community. We’ve also been able replace stoves, windows and doors in other homes and help build up the quality of life, which brings hope and encouragement and a sense of value to many who need it here. There is still plenty of work to do in the neighborhood and it really is an unforgettable and rewarding experience to help with renovating and reconstructing houses here! If you or group are moved or excited by the thought of helping with a project like this, please contact us and we can look at opportunities together. Here’s an example of a house in the neighborhood. It’s an old house that was in danger of collapsing after each rainfall. We tore down the old house and with the help of the people who lived in the house, and their neighbors, we dug a new foundation! After that was done, a group from Stadskanaal (Holland) built this beautiful 2-story house!